This is the second instalment of the South Lantau project update. The first part introduced some context as to why the government is now building new trails, including a training ground, in South Lantau. Now its time to provide even more history and portray the mindsets at the time before getting into the really cool stuff showing pictures of trails being built with excavators! Growth of the overall network has been irregular. 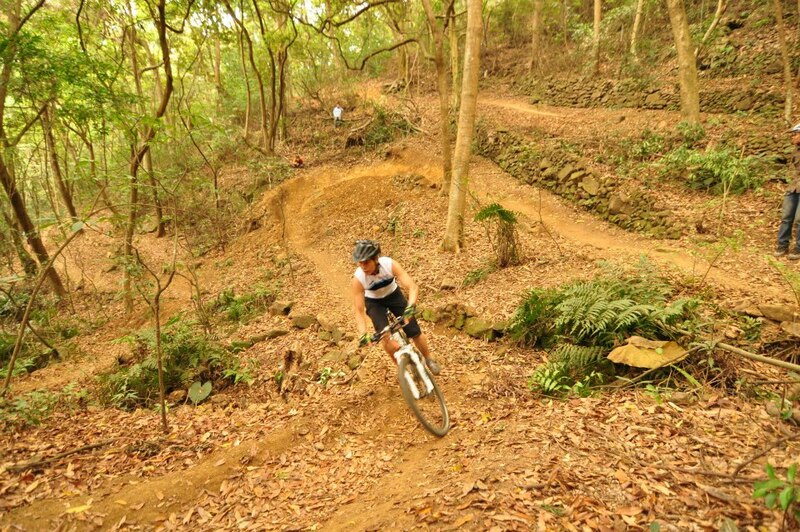 After the AFCD banned mountain biking entirely in the early 1990s, the original HKMBA (founded by Rick Barton-Smith) managed to convince the government to allow mountain bikes on nearly 100km of trail, roads and water catchments dispersed across the territory. The trail network expanded again after an Asian Games bronze medal in 1998 won by a very photogenic Brian Cook. When asked by the media about his training he confessed riding illegally in the country parks to prepare for the games. The government and sporting officials trying to bask in the glow of his success immediately lost face and a few months later opened up a few more trails in Tai Lam Country Park. In 2007 the HKMBA revitalised its leadership team starting with Robert (Bob) Smith and Kenneth Lam. When the new HKMBA team took over the trail network had not expanded since Brian Cook’s medal and the conditions were poor — there were many black spots, such as “helicopter alley” also know as the “Rocky Horror” plus many badly eroded and unsuitable trail sections. In addition we were facing a mostly negative perception from all directions. Hikers often felt intimidated and uncomfortable by bikers — many looking very menacing with body armour and full face helmets — approaching them on narrow trails and might naturally conclude that we don’t belong on the same trails fearing that collisions and injury were inevitable; land managers thought we were responsible for erosion and trail widening; and mountain bikers themselves flagrantly ignored the rules and rode illegal trails, even building new illegal trails. In the comment sections of local papers mountain bikers often faced severe criticism with many writers calling for us to be banned outright. Its important to emphasise at this point that the HKMBA is an entirely volunteer run organisation. Those of us who have volunteered do it both for our love of Hong Kong and the sport of mountain biking. Re-building the website alone took months of work by at least 4 volunteers. Finding time to reach out to a government department takes a enormous amount of time writing letters and taking time off work to meet them (if they would agree to that). We were encountering significant resistance and it was quickly becoming clear that officials neither had a clue or interest about the sport even when discussing development proposals with senior officials responsible for sport in Hong Kong all the way up to our local IOC representative who viewed mountain biking as some kind of fringe ‘X-Games kind of thing’ not really being aware of its inclusion in the Olympic Games since 1996. The perceptions of the country park managers at that time were no better. One AFCD country park manager questioned ‘why anyone would want to ride a bicycle on trails when there are plenty of good roads to cycle on instead?’. The HKMBA persisted with its plan and continued trying to make a dent in the bureaucratic walls. We drafted a proposal specifically for Tai Lam CP to make the trail network safe and sustainable. It was ignored. 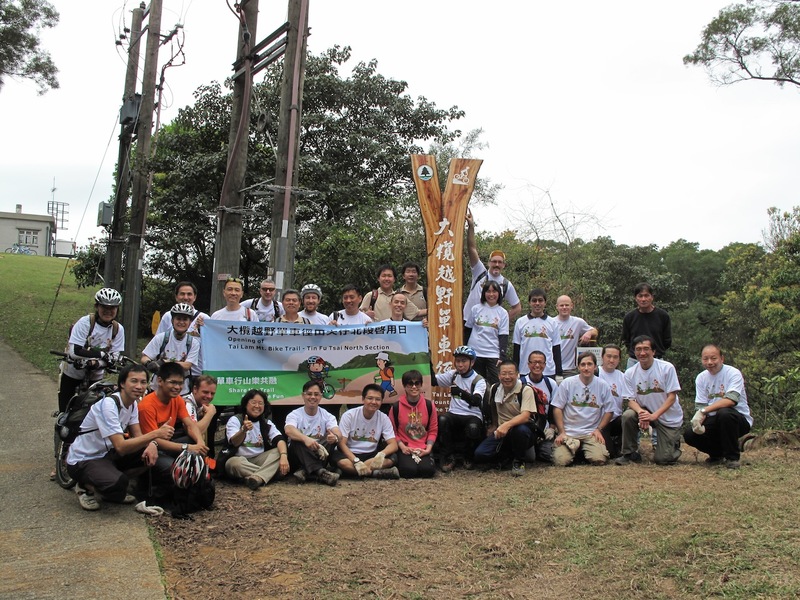 We created our “Share the Trails” campaign and AFCD officials refused to even discuss it for over two years despite repeated pleas from the HKMBA that this was the simplest and easiest method to help improve safety and reduce conflict in their country parks. It would have cost them peanuts to implement and the HKMBA was willing to do most of the work. Mountain biking was — and remains — a very, very tough sell in Hong Kong primarily because the overall perception of the activity was — and still is — very negative. The numbers of riders have multiplied like rabbits but very little had been done by government to improve conditions and alleviate the negative perceptions of the activity in nearly a decade while under their management. Erosion and conflict continued to get worse and worse. Both sides we boiling over. When we set out to revamp the HKMBA we thought that the problems we faced were not insurmountable and could be resolved with dialog but after a year into it, and without making any headway with an intransigent government (AFCD primarily), we were going nowhere fast. None of us at the HKMBA had heard of the 2004 Concept Plan For Lantau. Then, out of the blue, Bob Smith received a inquiry from the CEDD who were tasked with managing a mountain bike trail network feasibility study on South Lantau. The CEDD did not understand mountain biking nor what a world class mountain bike trail network should be like. Unlike other government departments at the time, the CEDD were very receptive and appreciative of the HKMBA’s introduction to the sport and its needs. Bob immediately recognised the CEDDs limitations and convinced them that the mountain bike trail feasibility study must be conducted by professional and internationally recognised mountain bike trail experts. The CEDD agreed and wrote this requirement into the RFP. This was a game changer. Once the Lantau study got rolling (Scott-Wilson was the contractor) the AFCD would finally meet professional mountain bike trail experts from the United States who understood both the concerns of the bikers (they themselves are passionate advocates for mountain biking) and the land managers and its these same specialists who would eventually help the AFCD solve their mountain bike “problem” while also acting as mediators between Hong Kong’s mountain bikers and the AFCD thus brokering a new era of constructive engagement and dialog between Hong Kong's mountain bikers and the government. Register now: Call Ms Tang at 2475-2244 on or before Friday 23 Nov 2018! The AFCD and the HKMBA are partnering to put on another trail work day. This is presents a great opportunity to learn about building and maintaining sustainable trails, meet people from all walks of life and get your hands a bit dirty! This is the first instalment in a series focussing on the trail works in South Lantau. Its a long and painful story — not quite a Russian novel, but not far off. Anyone who has visited the mountain bike trails on Lantau immediately sees both the amazing opportunity and challenge — the landscape and scenery is unparalleled in Hong Kong however the mountain bike trail “network” on South Lantau remains very fragmented, difficult to reach, and difficult to ride (except for a few locals who know all its nuances). For some parts of the mountain bike network its a stretch to actually call them real mountain bike trails as they lie on concreted Water Services Department (WSD) catch water roads. The official trail network also includes the coastal “trail” from Mui Wo to Chi Ma Wan, which is also now mostly concreted and passes through a few, small villages which don’t necessarily welcome the mountain biking traffic. Despite hiking trails criss-crossing the island, riders living in Discovery Bay or North Lantau remain cut off from accessing the trails unless they take a ferry or brave the roads. In the early 2000s the government of Hong Kong consulted residents of Hong Kong and Lantau about how Lantau should be developed. 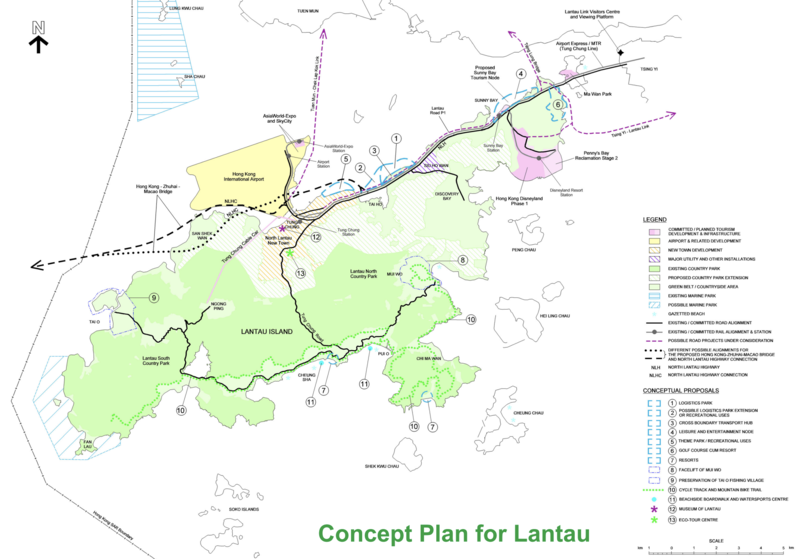 In 2004 the Concept Plan for Lantau (Concept Plan 2004) was released and acknowledged the fragmented cycling network: “The existing trails are proposed to be improved and new sections be added at certain locations to form a continuous 37 km network”. Later, in 2009, a HKD$10 million mountain bike feasibility study performed by Scott-Wilson and overseen by the CEDD recommended a minor refurbishment of Chi Ma Wan, the addition of a small connector trail (also known as the “French Connection”), the addition of railings along the catch water, and a new mountain bike training ground be constructed high above Mui Wo on a formerly “disturbed area”. The study also included site seeing trips by CEDD and AFCD personnel to Singapore and Whistler, British Columbia, Canada so that they could meet land managers and better understand the activity. 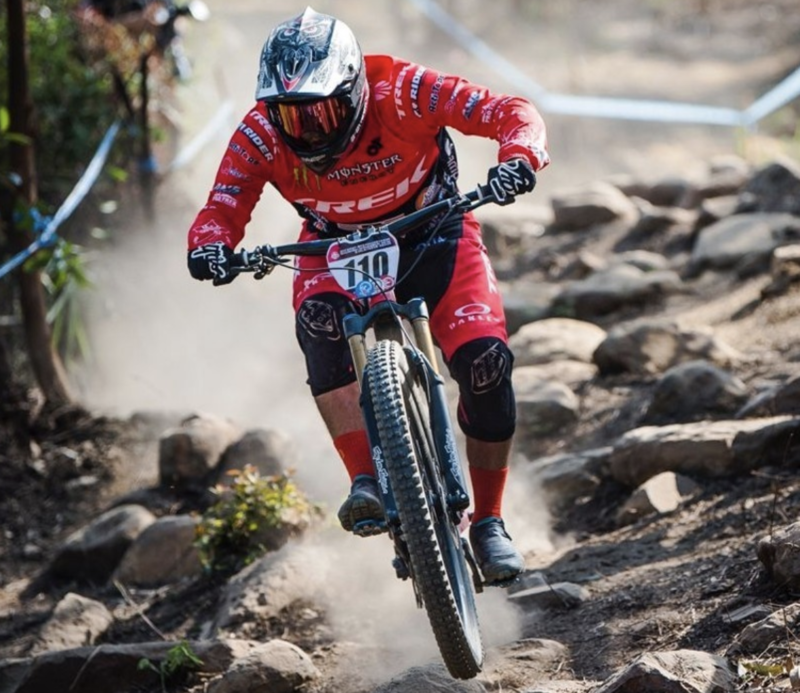 The HKMBA was not satisfied with the study outcome and felt it did not meet the original concept vision nor the needs of mountain biking community on Lantau or Hong Kong. It certainly did not deliver on the vision of a ‘continuous network’ proposed in the 2004 concept plan nor did it significantly expand the trail network to reach 37km. Many years passed since the release of the study recommendations and the government of Hong Kong did absolutely nothing to improve the mountain bike trails on Lantau. Then in 2015 the CEDD contacted the HKMBA to inform us that they would start implementing the study’s recommendations. By this time there was was an entirely new set of faces at the CEDD, most of whom had no knowledge of the past study nor any experience with mountain biking or trail building. The HKMBA proposed to the government that since so much time had passed and that since other trails projects in Tai Lam Country Park had proven the viability or mountain bike trails that they expand the scope of works on Lantau beyond what was recommended by the study. The HKMBA also met with high level officials from the Home Affairs Bureau in the hope that scope of works could be expanded. It was for naught — the scope would be restricted to the original recommendations despite our pleas. Trail building is typically a grassroots kind of affair. Mountain bikers may feel that a new trail might be appropriate in a certain location so after talking to their peers they would propose the trail to the land manager (ours is the AFCD). Together they work out details (alignment, approvals, etc) and often construct it together with the bikers participating on a volunteer basis. The mindset of the HK government struggles with natural projects — they understand big projects like bridges, railways, tunnels, and so forth. But when presented with the relatively simple challenge of building natural, sustainable trails that do no involve rebar, concrete or complex engineering plans then they are almost completely out of their element. So were the contractors that they hired for the job — they also had no idea about natural trail construction. 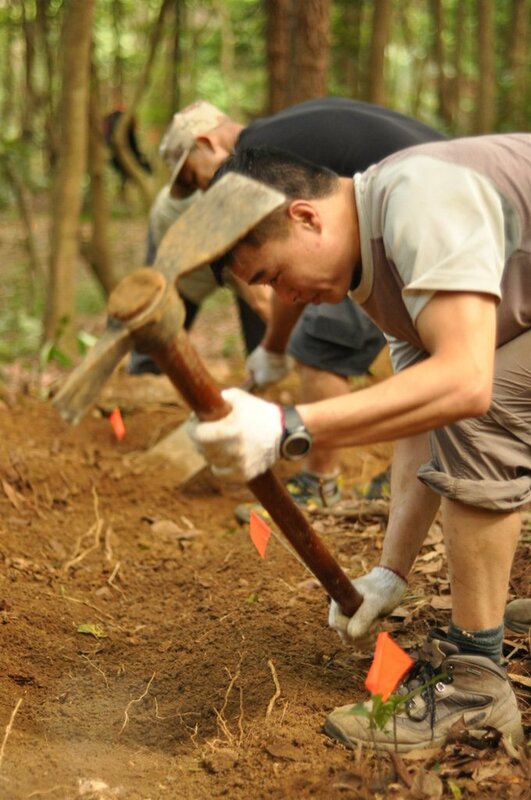 Foreign trail building experts from the US, UK and Singapore were hired to advise despite the fact that Hong Kong’s ancestors from 500 years ago perfected the art of sustainable trail building leaving their mark on popular trails like the Yuen Tsuen Ancient trail. First Sunday of every month it’s ‘Rock up ‘n’ Ride’ with HKMBA -A chance for riders new and old to HK’s shores to join us for a regular group ride. Each month we will ride somewhere new based on seasonal conditions lead by experienced HK rider & qualified instructor Steve Coward as well as a host of other experienced HK riders. Some routes will be challenging some a little easier though we do hope in most cases to split each ride into ‘sub’ groups based on ability levels. If you like a bit of technical riding, this Rock Up N Ride will take you on the fast and thrilling Ho Pui Downhill. If a more gentler technical ride is your thing, the option of enjoying one of the parks best trails - The Ho Pui Contour, is still possible by splitting up into smaller groups. Both Groups will rejoin and finish up riding Tai Lam Reservoir to the Gold Coast Piazza. By and large though the route seems to be make it up on the day! Ho Pui DH – Moderate to Advanced. We advise that only experienced riders tackle this trail due to the nature of the technical features. Ho Pui Contour – Moderate. A fairly gently contour, can be quite testing in parts. Hydration pack of at least 2-3 Litres of water, as with several trails in HK there are no shops on this route only freshwater streams! –Snack food including something salty as you will likely be sweating a fair amount. Helmet & Gloves, If you’re a fairly novice rider knee, shin & elbow pads are well worth considering though can make things hot work in summer. Clear lens glasses are worth bringing on muddy days. Sunscreen. You can also bring a change of clothes/towel that can be left in the truck that will be meeting us near the finish point. We will meet at Tai Mo Shan main car park just inside Tai Mo Shan Rd at 9:00am. By Car: If you have a car get there early as parking spots are limited. Parking is also available along the top of Route Twisk Rd. By Taxi: From Tsuen Wan MTR it is approximately HK$50 –Taxis normally take up to two bikes once wheels are removed and charge around $5-$10 extra per bike. By Taxi Van: Can take up to five riders and bikes and often work out a similar price to a taxi. Most riders opt to finish at the HK Gold Coast Piazza which has a varied selection of restaurants to replenish appetites. Taxis are plentiful, the Tuen Mun MTR is about another 20mins ride down the road and there are many bus options including the 962 which takes you directly back to HK Island.